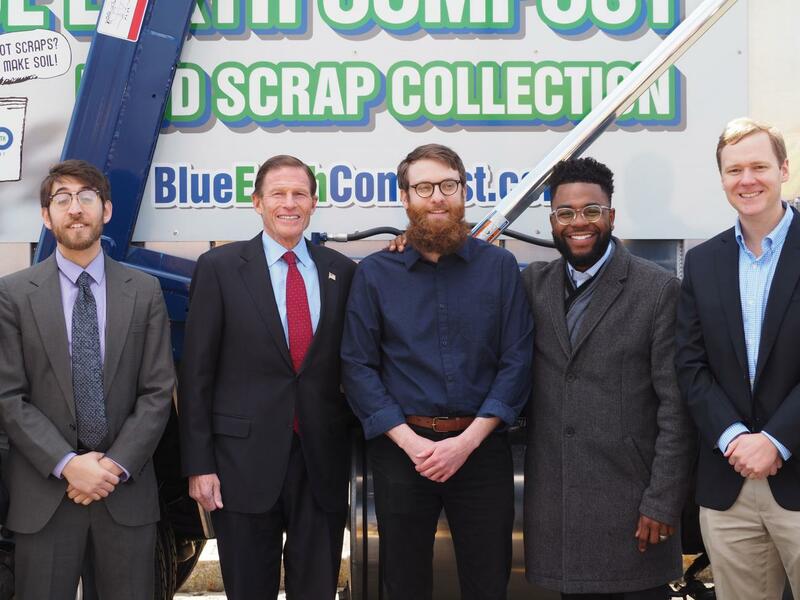 With the help of a loan obtained through the state Department of Economic and Community Development, the company is dramatically stepping up its commitment to our environment and positioning itself to be the largest diverter of food scraps in the state. Alex says about 500,000 tons of food scraps out of the state’s 2.5 million total tons of waste each year go to landfills, incinerators and other operations such as the Mid Connecticut trash plant in Hartford. By reducing the amount of waste going to Mid Connecticut, the people who live nearby can breathe better air and avoid health problems such as asthma. For generations, the siting of landfills and trash burning plants in communities of color have disproportionately affected the health and safety of the people in these communities. This is also true in Connecticut. The City of Hartford is host to the Mid Connecticut trash plant, which burns more than 40 percent of the state’s waste. In fact, Hartford and Bridgeport combined burn 73 percent of the state’s waste. It is no coincidence that residents in these cities are nearly three times more likely to be hospitalized for asthma – and twice as likely to die from it—as residents in the rest of the state, according to the Department of Public Health. Without question, the quickest way to reduce our dependence on trash incineration is to divert food waste to cleaner disposal in home or industrial compost facilities and anaerobic digesters. Click here to read a news story on the ribbon-cutting ceremony.